KNOXVILLE - The Tranzonic Companies has hired Brian Rhoades as its vice president of operations at the national manufacturing and distribution firm’s facility in West Knoxville. Based in Cleveland, Ohio, The Tranzonic Companies has been in business for more than 90 years and manufactures and distributes wiping cloths, personal hygiene products, textiles, washroom supplies and accessories, wiping and cleaning supplies, and safety products. The Knoxville facility, located off Hardin Valley Road, is the largest manufacturing and distribution site for The Tranzonic Companies. 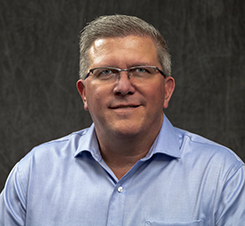 Rhoades has 30 years of experience in plant management and operations, including recently serving for 10 years as vice president of operations in Knoxville for WS Packaging Group, a national company based in Green Bay, Wisconsin. He also has held senior management positions at Newell Rubbermaid in Maryville, Tennessee; Emerson Electric in Marshalltown, Iowa; and Keihin North America, a joint venture of Keihin Corporation and Honda North America in Muncie, Indiana. Rhoades earned a Bachelor of Science in organizational management from the School of Engineering Technology at Purdue University. Rhoades also completed fundamentals of finance for the technical executive at the Sloan School of Management at Massachusetts Institute of Technology and earned a diploma in demand flow technology and business strategy from the John Costanza Institute of Technology. Rhoades lives in West Knoxville with his wife, Pam Rhoades. The couple have two adult children, Austen and Aerin, and two rescue cats. Headquartered in Cleveland, Ohio, and founded nearly a century ago, The Tranzonic Companies manufactures and distributes wiping and cleaning supplies; personal hygiene products; textiles; washroom supplies and accessories; and safety products to the away-from-home market. The Knoxville location is the largest manufacturing and distribution facility for The Tranzonic Companies.